Filmmaker and omnivore John Papola, together with his vegetarian wife Lisa, offer up a timely and refreshingly unbiased look at how farm animals are raised for our consumption. With unprecedented access to large-scale conventional farms, Papola asks the tough questions behind every hamburger, glass of milk and baby-back rib. What he discovers are not heartless industrialists, but America’s farmers—real people who, along with him, are grappling with the moral dimensions of farming animals for food. 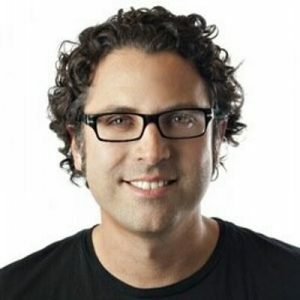 John Papola is an award-winning writer, producer, and director with more than a decade of experience in broadcast television as a creative principle at MTV, Nickelodeon, and Spike TV. He is the CEO + Exec Creative Director at Emergent Order, a creative agency and production company, and director of the feature documentary AT THE FORK. Lisa Versaci is a veteran television producer with an uncanny knack for spotting talent. 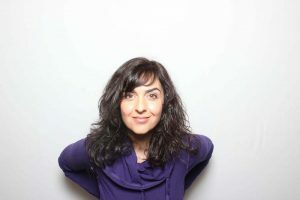 She is the co-founder and co-owner of Emergent Order, a creative agency and production company based in Austin, Texas. Lisa has been on a plant-based diet for 26 years and is responsible for single-handedly convincing Burger King to add a veggie burger to their permanent menu.